The BFSD was engineered to effortlessly transform any snare drum into your very own vintage, beefy, thumpy 70’s-inspired BIG FAT SNARE DRUM. Unlike gels and tape, BFSD lowers the fundamental pitch of the drum without any of the hassle. 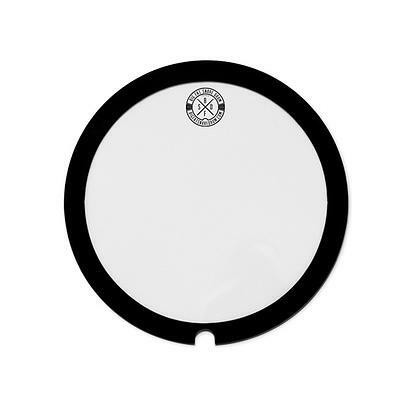 Simply placed on top of your existing snare skin, the custom blend of patent pending rubber and plastic instantly face-lifts your medium to high-pitched tuned snare drum and delivers that sought after, authentic, deep & warm tone we all know & love. 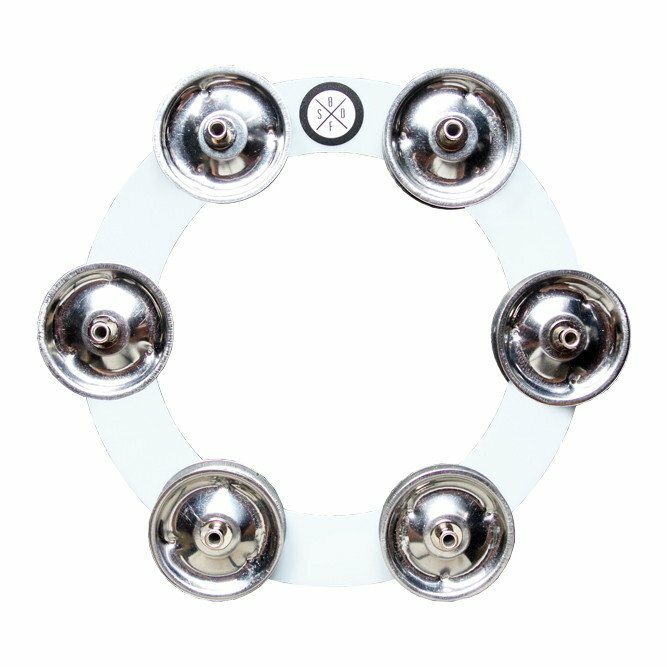 Available in Sizes 10", 12", 13", 14" and 16"
Get that Classic 70's Big Fat Snare Drum sound with the extra Clink of Tambourine Jingles. 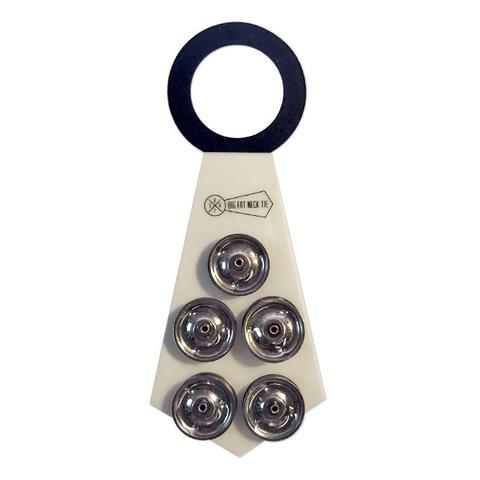 Available in sizes 12", 13" and 14"
-BFNT has 5 sets of Tambourine Jingles to give any Cymbal a Sizzle/Trashy sound. 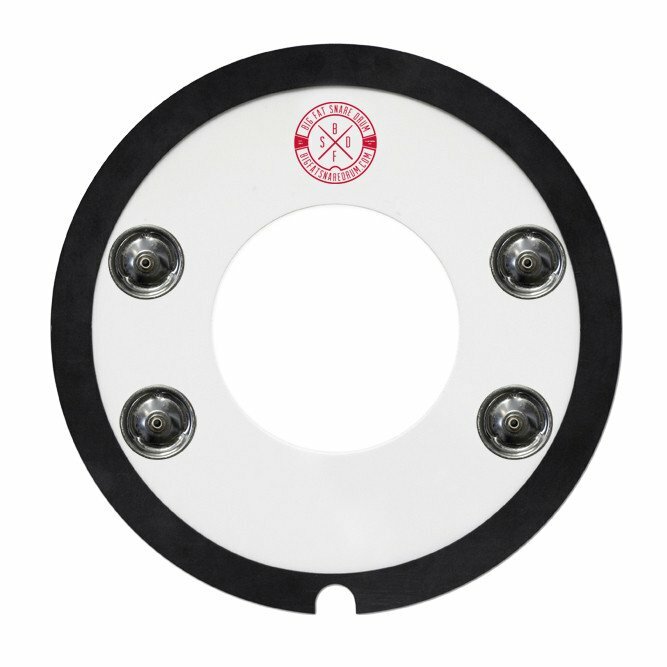 The round 2" hole at the top of the Neck Tie will fit over any cymbal felt, wing nut, sleeve, nylon post, quick set, cymbolt, or even just the threaded post.